Marketplace realities — Those in the business of finding and developing new drugs prioritizes ones with long shelf-lives, that can be prescribed far, wide and off label without regard to waning efficacy. Microbial evolution — Bacteria have a relentless and uncanny ability to evolve past any drug you throw at it. This particular problem has plagued scientists from the very start; resistance to penicillin and streptomycin (the first two commercially available antibiotics) became apparent within months of those discoveries. The lack of low-hanging fruit — In the three decades following penicillin’s ascent into the marketplace, scientists produced 200 or so additional antibiotics that had either been harvested from the dirt, or assembled in a chemistry lab based on compounds that had been harvested from the dirt. Fast forward another four decades, and we’ve “harvested all the easy gets,” as UCLA’s Brad Spellberg told me back in 2010. There are plenty more compounds to be found, Spellberg said. But so far, we haven’t been able to access them with current technology. (As the NYT piece points out, about 99% of bacteria in the natural world can’t be grown in the lab). The process involves diluting a soil sample — the one that yielded teixobactin came from “a grassy field in Maine” — and placing it on specialized equipment. Then, the secret to success is putting the equipment into a box full of the same soil that the sample came from. “Essentially, we’re tricking the bacteria,” Dr. Lewis said. Back in their native dirt, they divide and grow into colonies. Once the colonies form, Dr. Lewis said, the bacteria are “domesticated,” and researchers can scoop them up and start growing them in petri dishes in the laboratory…. Teixobactin [the first promising compound found through this technique] attacks bacteria by blocking fatty molecules needed to build cell walls, which is different from the way most antibiotics work. Those molecules are unlikely to change and make the microbes resistant, the researchers said. This is exciting news, indeed. Though, with human trials at least two years away, we’ll have to wait and see how well it actually pans out. In the meantime, the news got me thinking about the epic saga that antibiotic research has been, and the many fantastic books that have detailed that saga. I’ve noted a few of my favorites below. The Forgotten Plague: How The Battle Against Tuberculosis Was Won — And Lost. A narrative accounting of the quest to rid the world of tuberculosis, which culminated in the discovery of streptomycin. Streptomycin was the second antibiotic, in that it came after penicillin, but the bigger discovery in some ways: it was the first drug to work against tuberculosis, and the first to work against the vicisous gram-negative bacteria, which penicillin had no effect on. Ryan takes us on a rollicking voyage from Robert Koch’s initial discovery of the Mycobacterium bacillus in 1880s Berlin, to the labs at Rockefeller and Rutgers, (where the notion of digging in the dirt for medicine first took hold), through war-time Germany (where the study of chemical dyes were giving rise to synthetic chemistry), and beyond. What I love best here is that everything is placed in context. By showing the long slog of doctors and scientists across centuries (We start in ancient times with tuberculosis, and end up in the mid 1990s with the rise of drug resistant TB), no one Eureka moment crowds out the others. And by giving equal weight to the false starts and outright failures, Ryan offers us a much fuller, more accurate picture of science itself than we might otherwise get. Also: human characters and human dramas leap off the page without ever feeling gratuitous. If I ask you, or if you ask anyone else, “Who discovered Pencilin?” chances are the answer will be “Alexander Fleming,” followed by the famous moldy-plate anecdote. But that’s only a very small part of the story. Lax’s book offers a delightful parsing of the complicated chain of events that lead from a single serendipitous moment, to an actual, marketable, life-saving drug. It turns out that while Fleming was the one to notice the moldy plates (he’d left them on his bench too long. mould grew. he noticed that the mould killed off the bacteria in the plate. ), he was not the first to see the therapeutic potential, nor the one to usher the compound itself into mass production. Those distinctions belong to an Australian Pharmacologist named Howard Florey (who ran the first clinical trials, out of Oxford University), Ernst Chain (A German-Jewish biochemist who worked along side Florey, mapping out the structure of penicillin), and Norman Heatley (a young and horribly unsung lab technician who almost singlehandedly devised the methods needed to purify penicillin for mass production). Like Ryan’s book, Lax’s is rife with human drama, and does a great job of juxtaposing the urgency of wartime science alongside the competitive and often petty nature of man, even amid his greatest triumphs. By placing the full story in its proper context, Lax dispels the myth of lone Eureka moments. Fun Fact: The first tests of penicillin were done on mice, just hours before hundreds of thousands were rescued from the advancing Nazis at Dunkirk. 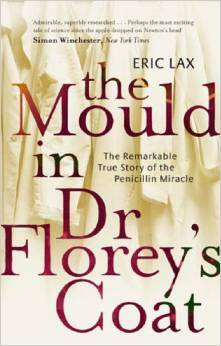 The book’s title refers to the fact that when those first mice were cured, and Florey and his team recognized the importance of their discovery, they hid the mould samples that had produced the penicilin in their lab coats, in case the Nazis attacked. They were actually filling and stacking sandbags by day, and running penicillin experiments by evening. The history of science is littered with the names of lab technicians and graduate students who did not get their due credit, and the rise of antibiotics is no different. Norman Heatley, who took being relegated to the shadows in stride (the Nobel was ultimately awarded to Florey, Chain and Flemming. No Heatley). Albert Schatz, who discovered streptomycin when he was a graduate student working in Selman Waksman’s Lab, did not. When Schatz realized that his mentor had cut him out of the profits through a secret deal with Merck Pharmaceuticals, he sued. And won. It was a pyrrhic victory though. While he secured legal recognition as co-discoverer and 2% of the drug’s royalties, he found himself blackballed from academic research. Waksman went on to have an institute named after him at Rutgers, and to win the 1952 Nobel Prize for Medicine. Schatz went on to a life of scientific obscurity, and never recovered from the slight. At the heart of this recounting lie some fundamental questions about idea ownership and due credit. Questions that still plague us today. Fun Fact: Streptomycin was the first American blockbuster drug (the first to earn upwards of $10 million in sales), and the first for which placebo-controlled, double-blind clinical trials were conducted. This is a novel; but I am including it because it’s well researched and because it gets the science right. 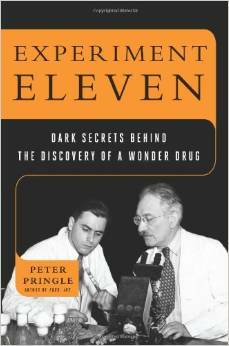 Also, it’s a great read: In the early days of World War Two, a photojournalist for Life Magazine is assigned a story on the emerging miracle drug, Penicillin…. Her reporting takes her on a dark tour of corporate espionage and exposes the real-world tension between science and profit — all amidst a grand quest to save lives with new medicine. Also, of course: a love story. Between a Journalist and a Doctor. 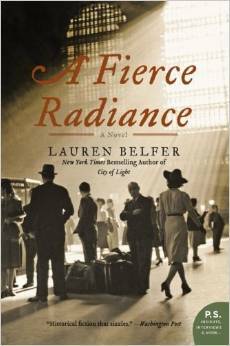 While most of the plot is fiction, some of the secondary characters are real – including Henry Luce, Life Magazine’s founding editor, and Vannevar Bush, America’s WWII Science Cszar. Fun Fact: When their lifesaving powers were first realized, drugs like penicillin and streptomycin were in such short supply, that doctors recycled doses by extracting the compound from the urine of treated patients.